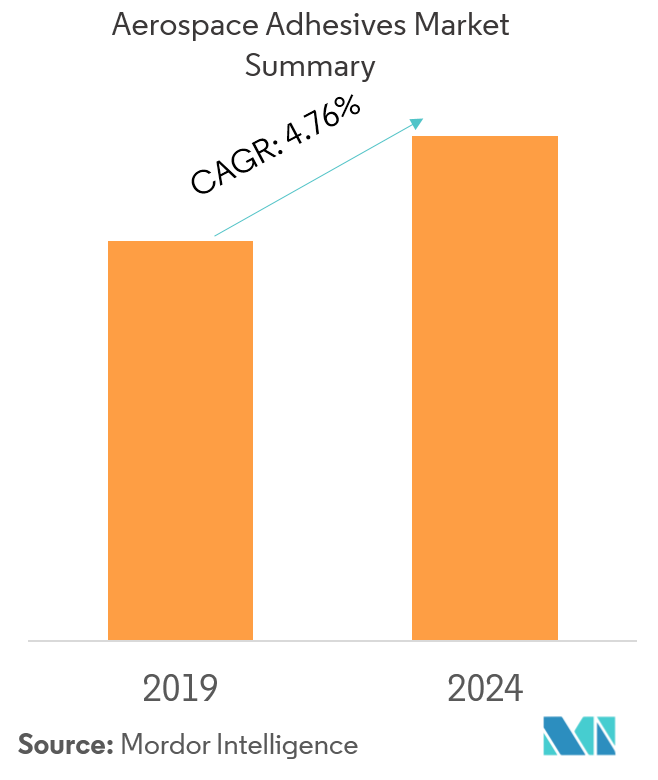 The market for aerospace adhesives is expected to register a CAGR of ~4.76% during the forecast period of 2019 - 2024. Major factors driving the market studied are the increasing penetration of composites in aircraft manufacturing and increasing government spending on defense in the United States. Poor performance in extremely low temperature and high vacuum environment is expected to hinder the growth of the market studied. Epoxy resin type dominated the market in 2018 and is expected to grow during the forecast period, owing to the uses in various applications, including panel assembly, filtration, door, flooring, and window applications. Use of combined carbon nanotubes and nano additives with epoxy adhesives is likely to act as an opportunity in the future. 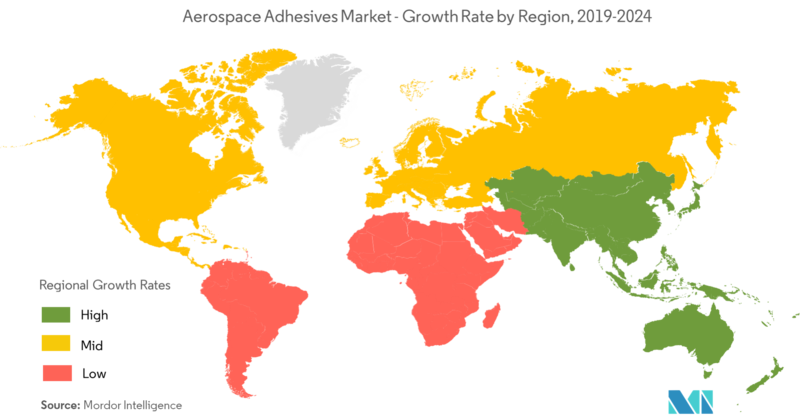 North America dominated the market across the globe with the largest consumption from the countries, such as the United States and Canada. Epoxy is the most used adhesive in the aerospace industry. These are used in bonding aircraft structures and airframe structures, such as structural components in the fuselage, control surfaces in wing flaps and tips, empennage components, composite fairings, cargo liners, landing gear doors, and floors. Epoxies have good strength, do not produce volatiles during curing, and have low shrinkage. However, they can have low peel strength and flexibility and are brittle. Epoxy adhesives are available in one-part, two-part, and film form and produce extremely strong durable bonds with most materials. A structural epoxy adhesive film is used to splice layers of foam together. In some instances, structural adhesives can be used for an essentially non-structural application. The United States aerospace sector is the largest in the world according to the US Bureau of Economic Analysis (BEA). The regional carrier fleet is forecasted to decline slightly while the cargo carrier large jet aircraft fleet is forecasted to increase due to the growth in the freight Road Transport Management Systems (RTMS). Strong exports of aerospace components to countries, such as France, China, and Germany along with the robust consumer spending in the United States are driving the manufacturing activities in the aerospace industry. The booming manufacturing of commercial and passenger aircrafts along with the consistently growing exports of aircraft parts are expected to boost the demand for aerospace adhesives in the United States in the coming years. 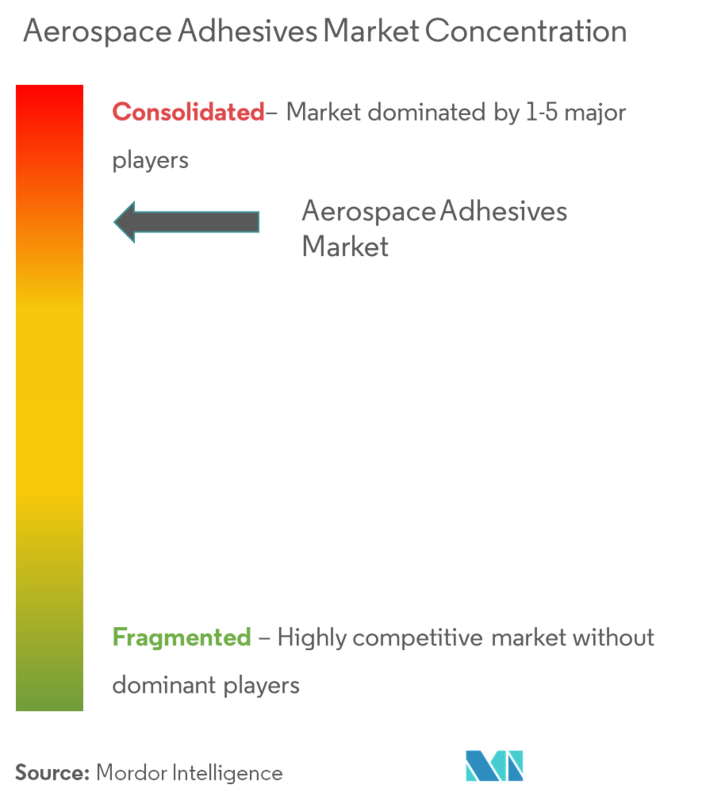 The aerospace adhesives market is consolidated. 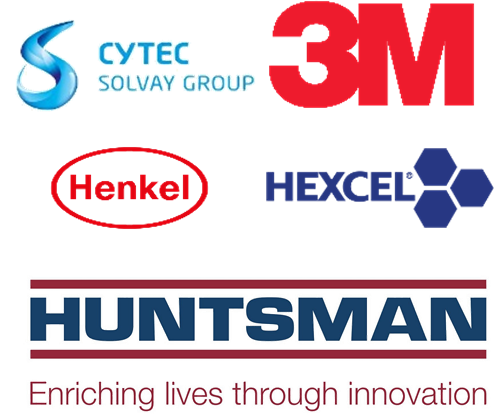 The major players include Henkel AG & Co. KGaA, Cytec Solvay Group, 3M, Hexcel Corporation, and Huntsman International LLC, among others.